The masses that tuned in for the The Match between Tiger Woods and Phil Mickelson at Shadow Creek expected to see some incredible play. Some even placed prop bets hoping to see one of golf's biggest stars make an ace during the $9 million grudge match. It turns out those viewers were too late, because Woods made his first hole-in-one since the 90s just days before. 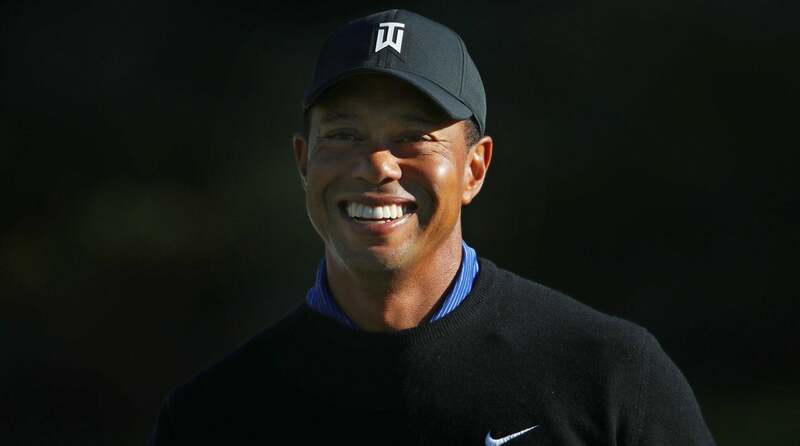 According to Bob Harig of ESPN, Woods says he completed the feat during a casual round with friend and World Golf Hall of Fame member Fred Couples at the Madison Club in La Quinta, Calif. Woods used a five-iron to ace the 210-yard, par-3 2nd hole at the course near where he grew up. Better yet for Woods, his son Charlie was reportedly on hand to witness his dad's ace. Woods famously aced the par-3 16th hole at TPC Scottsdale during the 1997 Phoenix Open, just months before his historic first victory at the Masters. His last hole-in-one on Tour came the next year at the 1998 International. Tiger Woods smiles during the pro am prior to The Match at Shadow Creek. So why did it take so long for Woods to end his drought? That's difficult to answer, especially considering that he arguably played the best golf that has ever been played during that stretch. If you're mystified, you're not alone. Woods doesn't get it either. As he told Harig on Monday, "Some of the best years of my career and I never made one." Woods is currently in the Bahamas preparing for this year’s edition of the Hero World Challenge, a small-field invitational he hosts every year in December. Woods chose last year’s Hero for his long-awaited return to professional golf after missing years while recovering from surgery on his back. His strong play that week sparked a comeback season in 2018 that few could have envisioned, culminating with his victory at the Tour Championship in August.